Dnipropetrovsk National Historical Museum (Дніпропетровський національний історичний музей ім. Д. Яворницького; Dnipropetrovskyi natsionalnyi istorychnyi muzei im. D. Yavornytskoho). 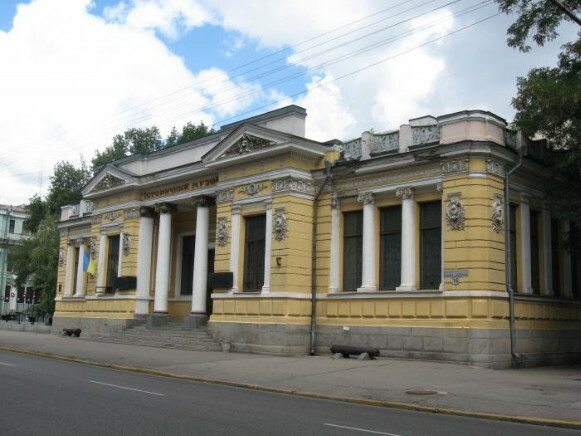 Founded in 1905 in Katerynoslav by Dmytro Yavornytsky, who served as its director in 1905–33, the museum encompasses the collections of the Museum of Antiquities of Katerynoslav Gubernia (established in 1849), of Yavornytsky himself, and of Oleksander Pol’s private museum (over 5,000 objects; established in 1887), after whom the museum was named until 1940 when it was renamed after Yavornytsky. The museum also contains archeological objects excavated by expeditions prior to the 12th Archeological Conference in 1905, objects displayed at the gubernial agricultural and industrial fair in 1910, historical objects from Katerynoslav gubernia, Kherson gubernia, and Poltava gubernia, and archeological articles found in the vicinity of the Dnipro Hydroelectric Station. In 2010 the museum was granted the national museum status and assumed its present name. 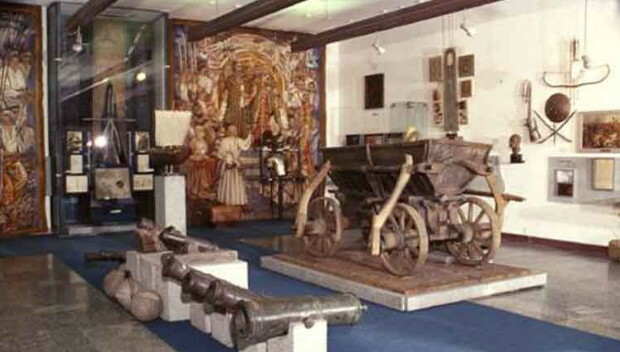 The Dnipropetrovsk National Historical Museum has 9 exhibition complexes. The archeological department is particularly rich. 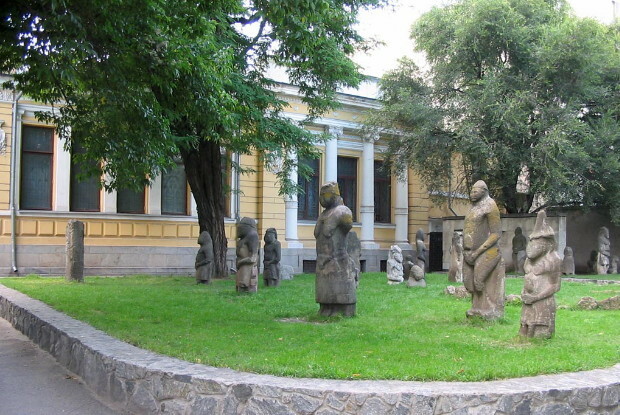 The museum has a large collection of stone baba figures, a particularly rich collection of objects from the Cossack period, and a sizable ethnographic and numismatic collection. Valuable hand-written books from the early 15th century and archival materials pertaining to the history of the Dnipro region have been preserved here. In 1975 the diorama ‘The Battle for the Dnipro’ was opened. Until 1988 the department of the history of religion, which is housed in the Cathedral of the Transfiguration, belonged to the museum. 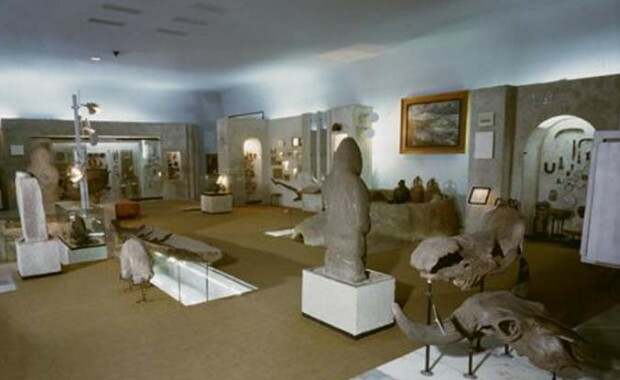 Today the Dnipropetrovsk National Historical Museum possesses over 240,000 artifacts. The museum building, which was designed by Yavornytsky, was reconstructed in 1968–77. 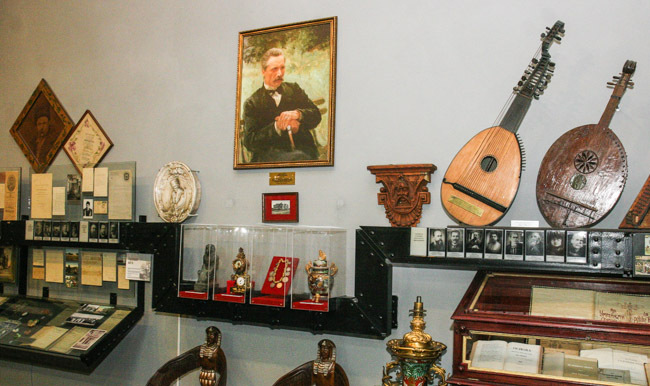 The museum has several branches, including the Dmytro Yavornytsky memorial museum, the memorial museum dedicated to Elena Blavatsky and her family, and the Literary Dnipro Region Museum.